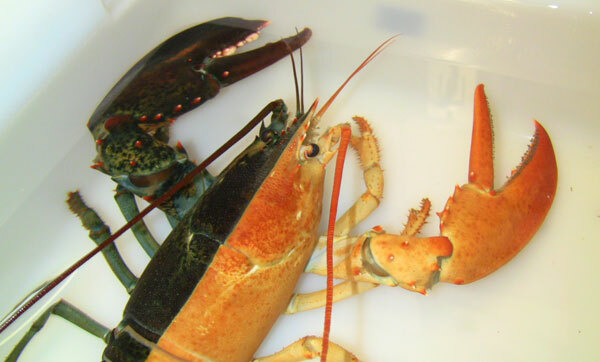 Massachusetts Governor Charlie Baker declared that October 8 is Lobster Day in the Commonwealth. Huzzah, this our kind of holiday! Gatherings are planned at the State House with lobstermen and their legislators. Members from the Division of Marine Fisheries as well as our own live American lobster (traveling with its informative minders, of course) will be there, too. 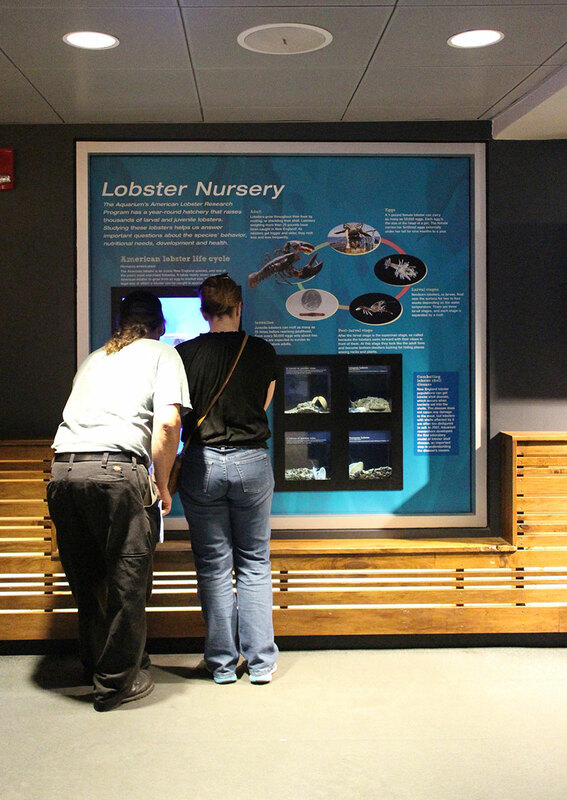 Let's take this opportunity to touch on some of the fascinating facts about New England's favorite crustacean. Lobster shell color is one of the topics that our researchers know a lot about here in our American lobster research facility. 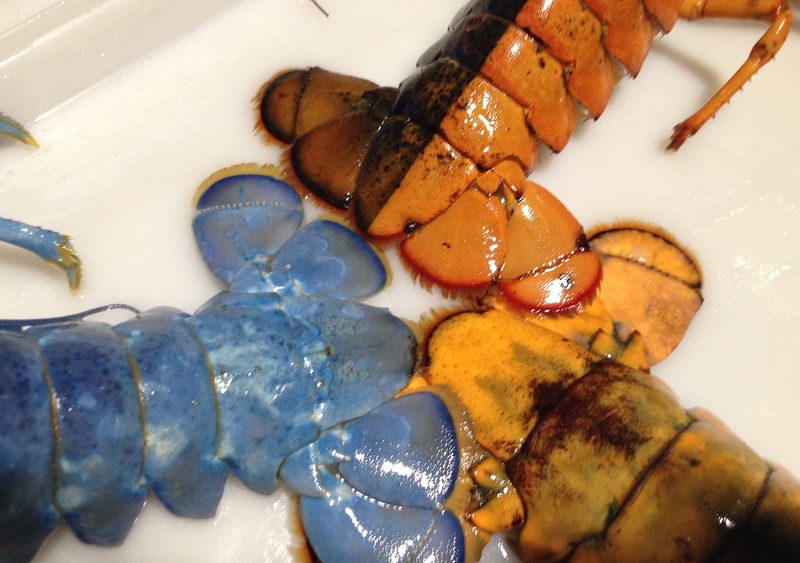 As Michael Tlusty explains in a video by the American Chemical Society, lobster shell color can be manipulated in the lab through diet. 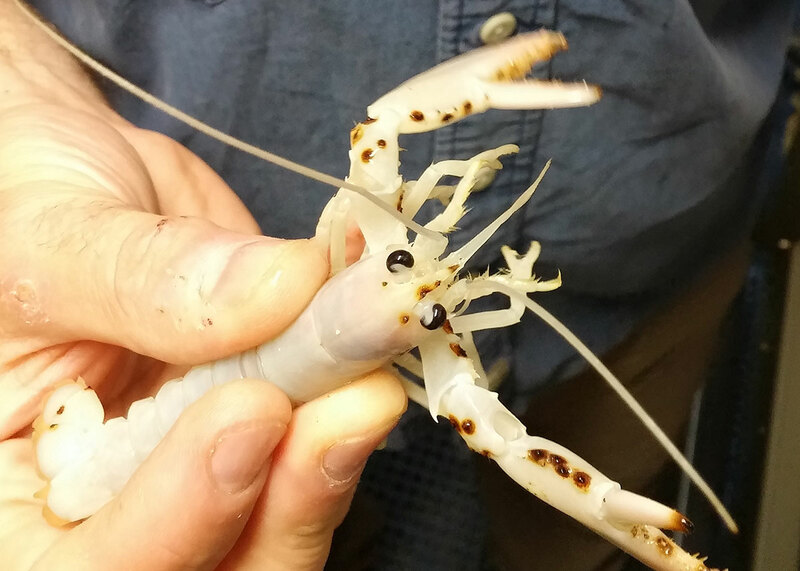 So many of the teensy crustaceans in our lobster nursery have bluish shells. 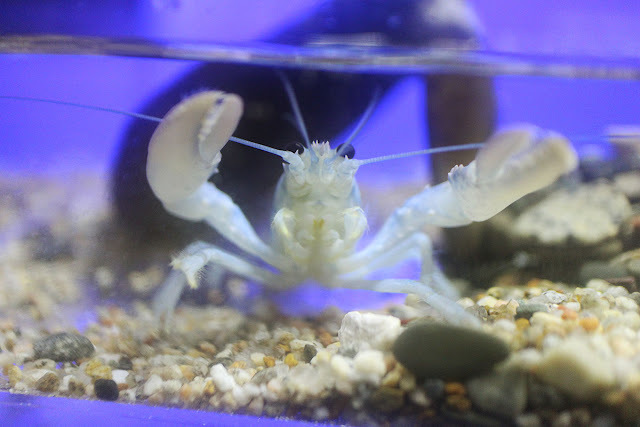 And like all animals from our blue planet, lobsters are completely fascinating. Did you know lobsters communicate by peeing in each other's faces? 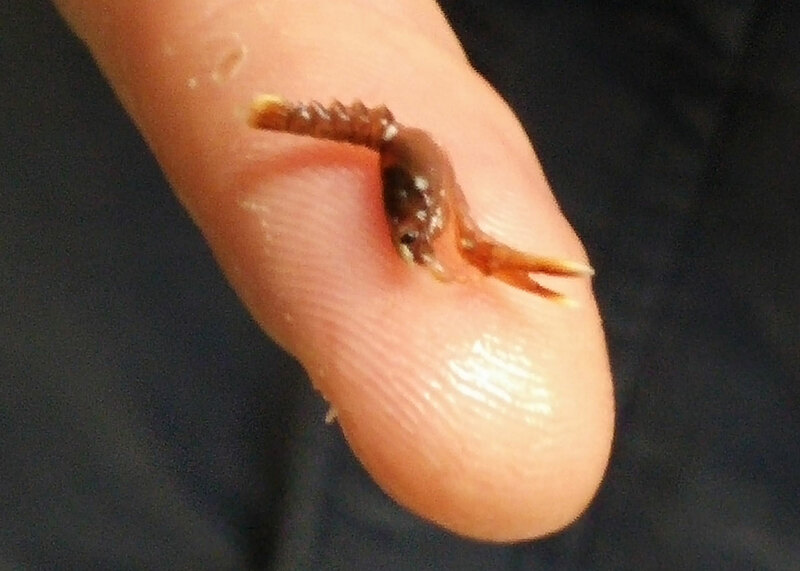 Or that lobsters molt as frequently as every two weeks when they're young (less frequently when they get older)? Or that it takes about seven years for lobsters to grow large enough to land on your dinner plate? 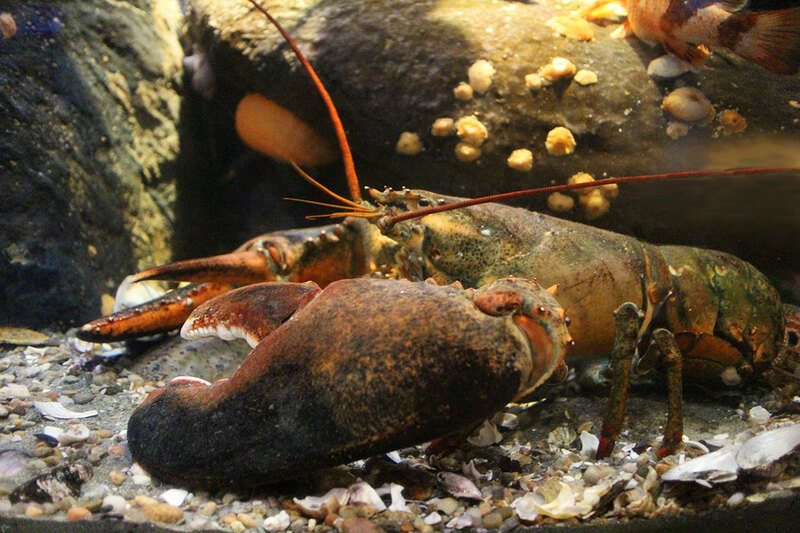 Plan a visit to see lobsters large and small at the Aquarium. Buy a ticket online—no service charge. You might be surprised to find these bottom dwellers to be quite endearing! Then head up to the Boulder Reef exhibit in the Gulf of Maine exhibits to meet this behemoth.